An Apostille is a certificate issued by a designated authority in a country where the Hague Convention Abolishing the Requirement for Legalization of Foreign Public Documents, Apostille Convention, is in force. Apostilles authenticate the seals and signatures of officials on public documents such as birth certificates, notarials, court orders, or any other document issued by a public authority, so that they can be recognized in foreign countries that are parties to the Convention.The authority to issue an Apostille for a particular document depends on the origin of the document in question. 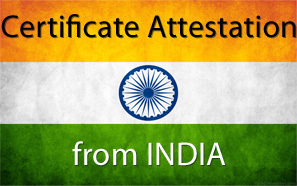 State documents such as notarizations or vital records are authenticated by designated state competent authorities, usually the state Secretary of State.Ramadan Global can help getting the Indian, British, American and Australian documents apostilled within a very short span of time.